For couples and families with one or more members who are or could be pregnant, travel insurance isn’t always an easy part of their vacation purchase. Many consumers may be shocked to learn that for issues other than complications, trip interruptions or cancellations due to a normal pregnancy aren’t covered. But that might not be easy to determine because most exclusions are written by lawyers to protect travel insurance companies and underwriters, and clarity is given up for the sake of risk mitigation. 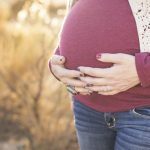 “For medical coverage, once a pregnant traveler has left for their trip, some policies can cover complications of pregnancy. These complications are generally not defined by travel insurance policies, and are usually handled on a case-by-case basis,” said Steven Benna, marketing specialist at Squaremouth.com.